It's that time of the week again where I share with you some swatches! 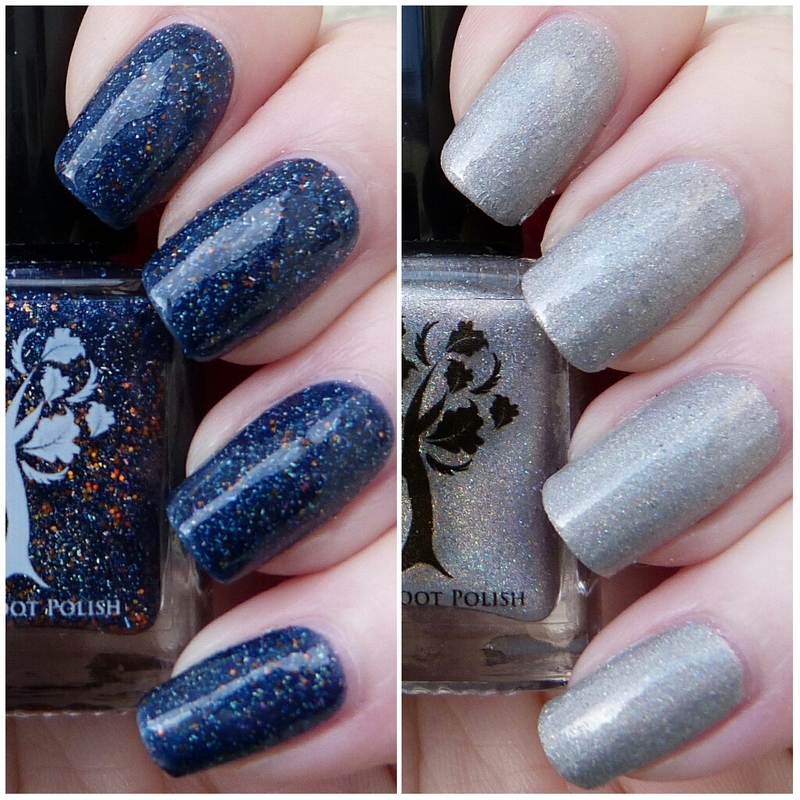 Today I have the last two polishes from Hayley's Star Wars Collection: One of a Kind Droid and One Hell of a Pilot. If for some reason you haven't already seen my post on the original four polishes then take a look here. 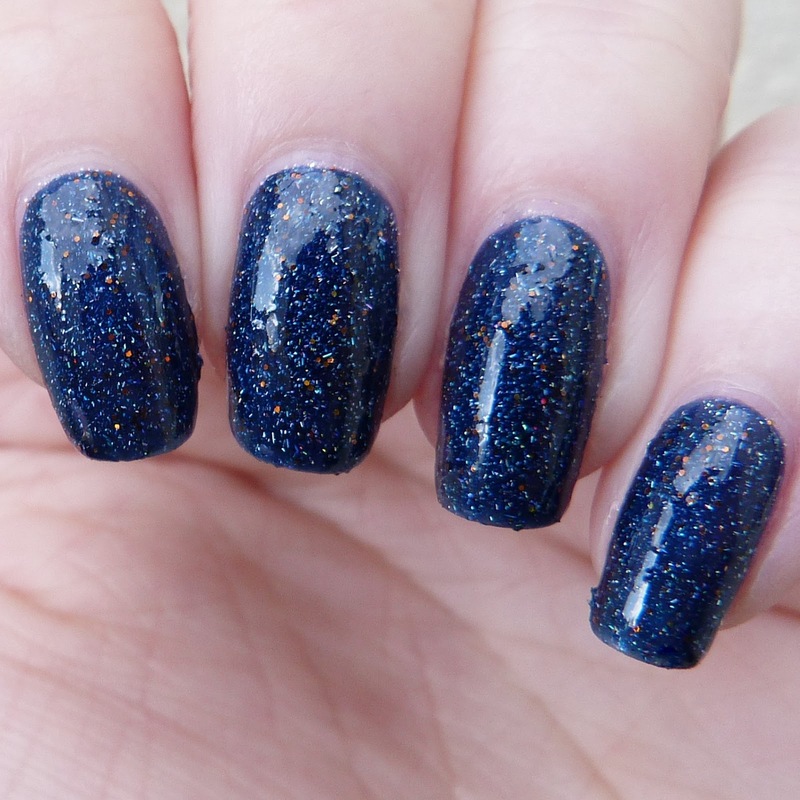 First up is One of a Kind Droid, a polish inspired by R2-D2 and BB-8 hence the blue with the orange glitter! I absolutely love this polish. I've always loved a dark blue and the orange glitter really just helps make it. The colours aren't a typical combination but they definitely work! As usual it was also very easy to apply, this was three coats plus topcoat. I didn't actually need three coats because the nail was covered but the extra coat just made the colour slightly deeper which I preferred. I know this has been very popular since Hayley released it and I just checked her shop and it's sold out. I've no idea if it's going to be restocked but keep an eye out just in case! The last polish in the collection is One Hell of a Pilot, a lovely silver inspired by Poe Dameron. Just in case you hadn't seen me getting excited about it on Instagram, I actually came up with the name for this one! Can't tell you how proud I am hahaha. Only because Hayley often asks for name ideas for her polishes and I've never been able to come up with anything decent so. As you can see this is a beautiful silver holo and this was two coats plus topcoat. I also took a couple of photos in the tiny bit of sunshine we had the other day to try and show how sparkly it is! How can you not fall in love with that though seriously? Definitely going to wear this a lot in summer so I can just flash my nails in the sun all the time! Will probably have to make sure I don't get too distracted looking at them and walk into traffic or something though oops. I just checked Hayley's Instagram and saw that this was was only a one batch polish so you can no longer buy it! 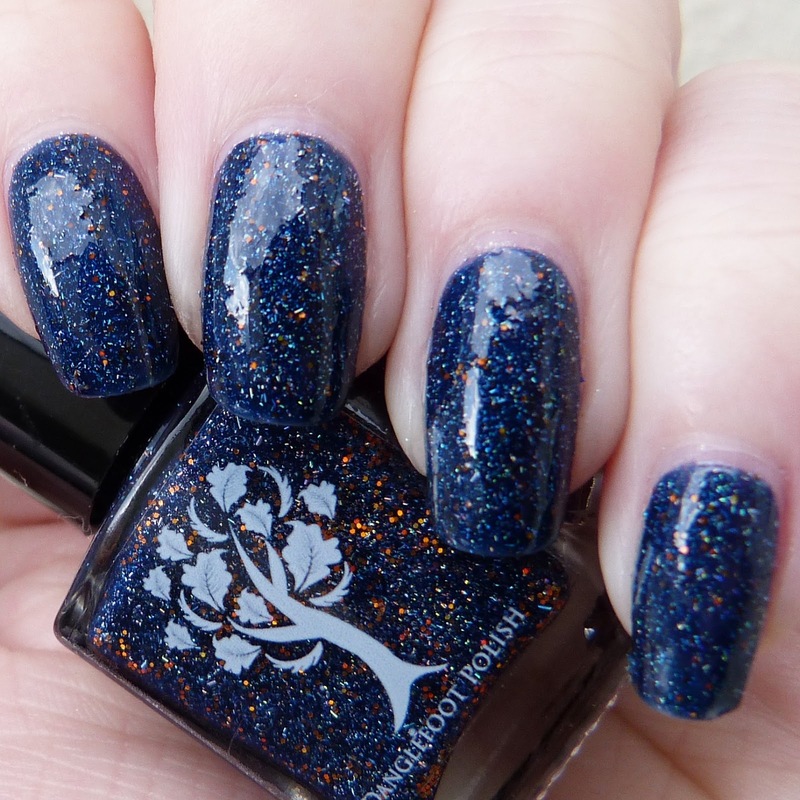 Sorry if I've just made you fall in love and then broken your heart... Definitely go and check out Danglefoot anyway because there's lots of other fab polishes! Hope you've enjoyed seeing all these pretties, I know I have! Which one from the collection was your favourite?